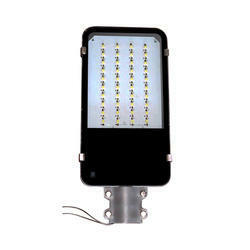 We are engaged in offering a wide range of Solar LED Home Light to our clients. 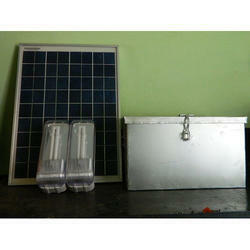 Our clients can avail Solar LED Home Light at reasonable leading price. Our lights are highly reliable and durable, our range is best known for high efficiency electronic circuitry. These are highly appreciated by our clients for low self-consumption, perfect design and easy installation. CHARGING WITH AC AND SOLAR PANEL WITH BACK UPTO 12 HRS. - Usb Socket For Mobile Charging. - 2 Led Lamp Each 5 Meters Wire & Pins. - Single Lamp Coverag Area 1000 Sq. foot. - 1 12volt Dc Highspeed Fanwith 5 Meter Wire & Pin. - For 2 Lamp & 1 Fan 3 Saperate Sockets & 3 Switches. Our clients can avail from us Solar Home Lights CFL that is manufactured in-line with requisite market norms. The solar home lighting systems offered by us are all mountable indoor lighting that derives light energy from the sun is a day and to store the battery. We make sure to offer these in industry leading prices. Solar lighting in the home provides free, renewable energy with every flick of a light switch. Solar energy is not simply renewable, but also inexhaustible. It is interesting to consider that, were everyone to utilize the sun's free energy for lighting and general electricity, one of the purposes for observing daylight saving time would be gone. Life of LED is 10 times the life of CFL. LED street Light is equivalent to 16W CFL.